Michael combines his years of working with clients and his broad experience in the financial services industry to help guide Cascadia Wealth Management to be one of the premier wealth management firms in the Northwest. His career began as a part-time technical consultant to one of Oregon’s first Certified Financial Planners (CFP®), his father Al Jeanfreau. Since that time, Michael has gained significant experience in sales management, marketing, account management, product development, strategic planning, project management, operations, and client relations. Among the positions he has held are Vice President of Product Development at Marketing One, Director of Sales Support at Transamerica Life Insurance and Annuity Company, Vice President of Product Development for Lincoln Financial Institutions Group, and as a Financial Advisor in the investment divisions of Bank of the West and Wells Fargo Bank. 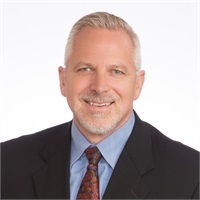 Most recently, Michael has served as the Compliance Officer and Business Development Manager for Cascadia Wealth Management and has helped launch Cascadia Advisory Services, LLC, an SEC registered investment advisor, where he also serves as Managing Director. In these and other roles, Michael has demonstrated success in initiating and implementing major strategic initiatives and is known for creative and profitable approaches to problem solving, conducting skillful negotiations, developing strong teams, and establishing outstanding relationships with employees, vendors and clients. Michael is a graduate of Brigham Young University with a Bachelor of Science degree in Finance. Michael also earned a Master of Business Administration from Northwestern University with an emphasis in Finance. He was an adjunct faculty member at the University of Phoenix and Marylhurst University where he taught undergraduate and graduate Finance courses. Michael holds Securities Registrations Series 7, 24, 63, and 65 and Oregon Life and Health licenses. He is a Registered Principal and an Investment Advisor Representative through Cetera Advisors LLC, Member FINRA/SIPC and is also the Chief Compliance Officer for Cascadia Advisory Services, LLC. Michael’s passions away from work include his growing family (now including five grandchildren), flying, scuba diving, camping, hiking, dancing, and college football. Investment advisor representative offering securities and investment advisory services through Cetera Advisors LLC, member FINRA/SIPC. Mr. Jeanfreau is also Chief Compliance Officer for Cascadia Advisory Services, LLC (CAS), an SEC Registered Investment Advisor, however, he does not offer advisory services through CAS. Cascadia Advisory Services, LLC and Cascadia Wealth Management are not associated with Cetera Advisors LLC.